Come visit your wreckers at our booth at Dothan's downtown street festival, Foster Fest. We will have tickets and merchandise for sale! Come visit your wreckers at our booth at Dothan's downtown street festival, Foster Fest. We will have tickets and merchandise for sale! 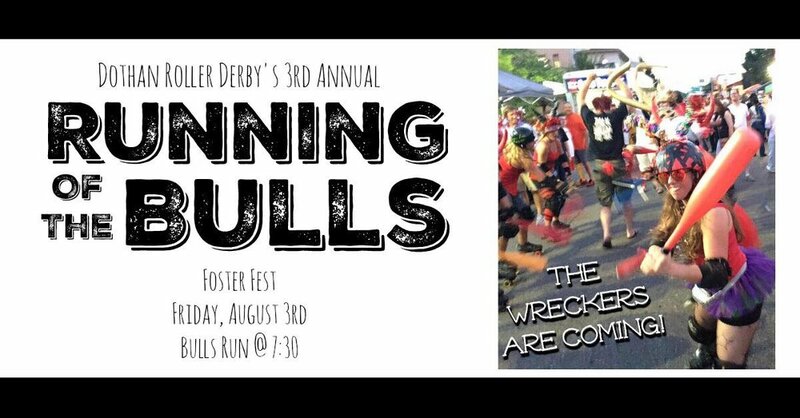 Tonight will be the annual running of the bulls! Your wreckers will be in red and the brave participants should wear white. Special red bandanas will be sold for 5$ to participate in the run. Get ready to run so you don't get caught by the Bulls! Have you been interested in joining the team? Want to volunteer and feel the sense of camaraderie without putting on skates? What to wear the stripes, blow the whistle, and send us to the penalty box? WE NEED YOU! Come out and meet the team! We will be there to answer any questions!!! Doors open at 6, first whistle at 7. 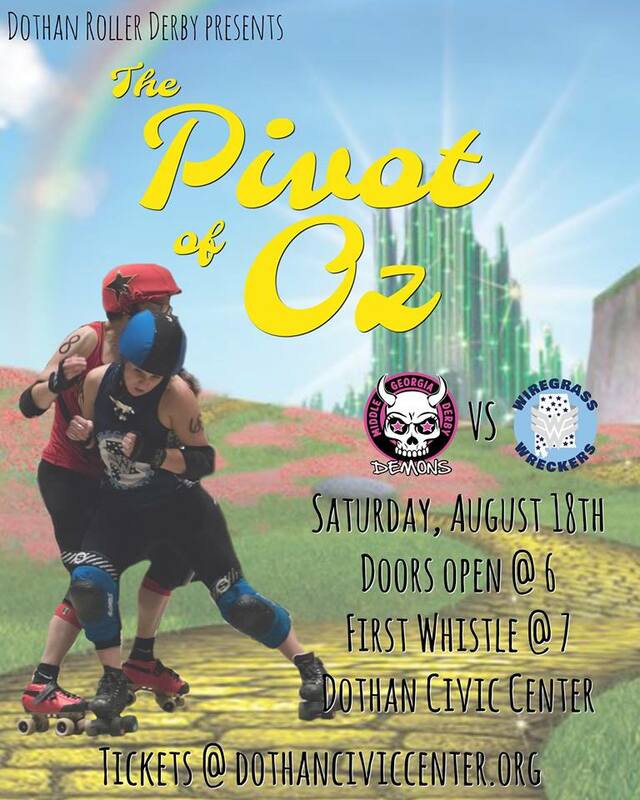 Today's bout is Pivot of Oz themed. Come support your wreckers and wear your best representation of Oz! Doors open at 6, first whistle at 7. Today's bout is Cirque du Slay themed. 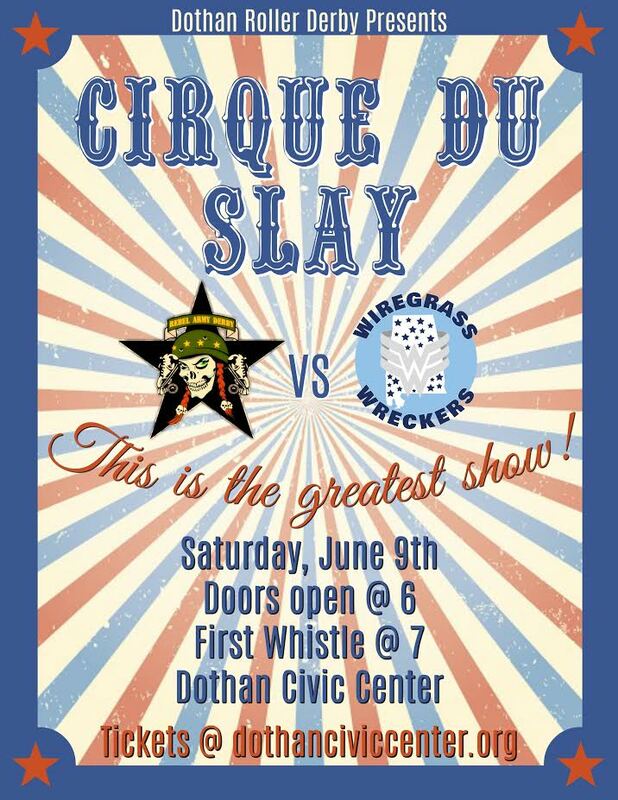 Come support your wreckers and wear your most extravagant circus attire! Doors open at 6, first whistle at 7. After our bout we would love to see you at one of our very own skater's bar, Bananas in Enterprise, AL. Get to know your wreckers and support local business. This charity mash-up consists of 4 teams and 3 bouts benefiting The Ronald McDonald House! It is Star Wars themed and doors open at 4pm with the first whistle at 5pm. The last halftime will host a Jedi Training Academy for kids with an experienced Jedi. Come support your wreckers and wear your most galactic ensemble and don't forget your lightsaber! 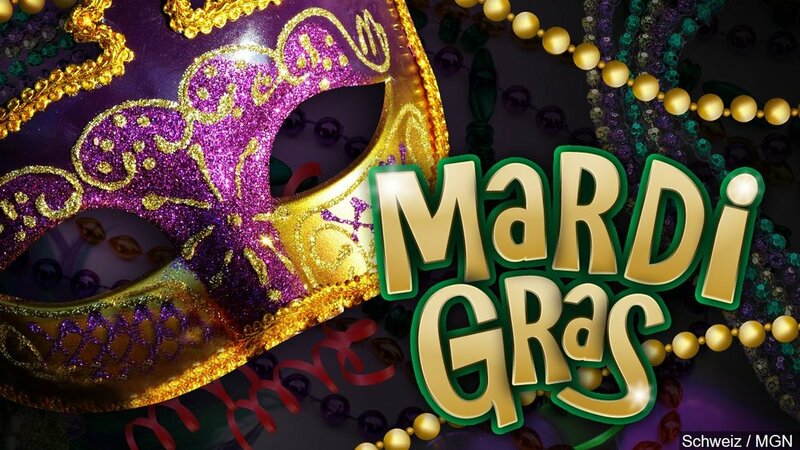 Come support your local roller derby as we skate through the streets celebrating Mardi Gras and giving out beads, prizes, and tickets!